The car that rammed a CRPF bus in Jammu and Kashmir's Pulwama, killing nearly 40 jawans on Thursday, was driven by Jaish-e-Mohammad terrorist Adil Ahmad Dar, officers said. Adil Ahmad, also known as "Adil Ahmad Gaadi Takranewala" and "Waqas Commando of Gundibagh", joined the Pakistan-based terror outfit last year. He was from Kakapora. There were 350 kg of explosives in the Scorpio that he rammed into a bus carrying some 40 personnel, say the police. His photo and videos emerged soon after the deadly attack, the worst in decades. "My name is Adil, I joined the Jaish e Mohammad a year ago. 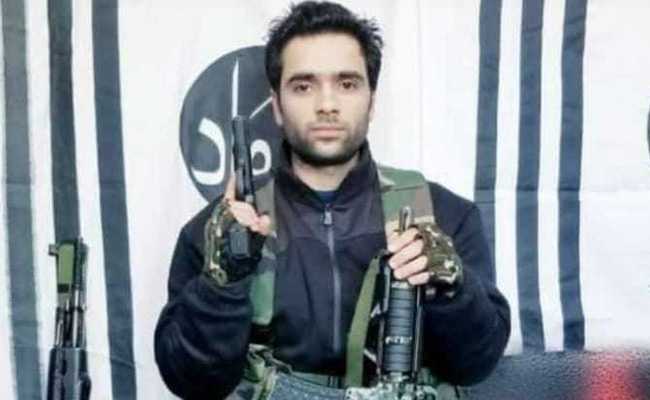 After a year's wait, I have got the chance to do what I joined the Jaish for... By the time this video reaches you, I will be in heaven... this is my last message for the people of Kashmir," Adil Ahmad says in the video, as part of an anti-India rant. He is armed with rifles and standing in front of what appear to be Jaish-e-Mohammad banners in the video. Investigators are baffled at the scale of the attack, given that almost the entire leadership of Jaish has been wiped out over the years. Last year, security forces had claimed a big win after Mohammad Usman, believed to be the head of the module behind sniper attacks on forces in the Kashmir Valley, was killed by security men. Usman was the nephew of Moulana Masood Azhar, the chief of Jaish-e-Mohammad. In 2017, security forces killed Jaish's operational chief Khalid in Baramulla. Condemning today's attack, the government in a strongly-worded statement, demanded that "Pakistan stopped supporting terrorists and terror groups operating from their territory." The centre also appealed to the "international community to support the proposal to list terrorists, including Jaish-e-Mohammed Chief Masood Azhar, as a designated terrorist under the 1267 Sanctions Committee of the UN Security Council."